I spent most of February being very cold, but I tried not to let it stop me. I went on some adventures close to home and also traveled overseas for the first time since November. Knyum means “I” in Khmer. The play was written and performed by the incredibly talented Vichet Chum. I’m a big advocate of being a backyard tourist and looking for out-of-the-ordinary experiences close to home that can help shake up the day-to-day routine. So on a chilly Saturday, I traveled with two other Wanderful women – Katie and Maria – to Lowell, a former industrial city about 45 minutes northwest of Boston. 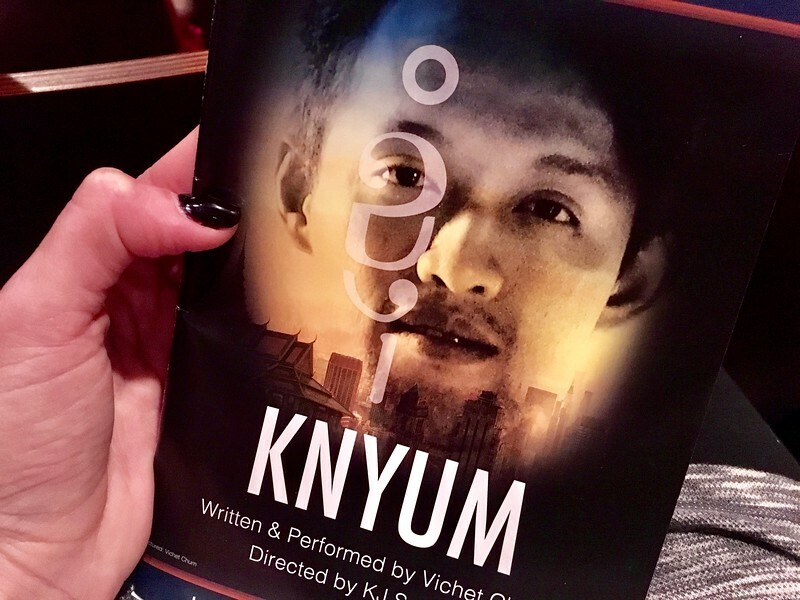 The main reason for the trip was to check out Knyum, a fantastic one-man play about a young Cambodian-American man caught between two worlds. Lowell has one of the largest Cambodian populations in the U.S. – about 10% – and a lot of fantastic Cambodia restaurants as a result. So after the play we stuffed our faces at local favorite Simply Khymer. The second road trip I took during February was north to the coastal city of Portland to celebrate my friend’s 40th birthday. It’s a place I always enjoy visiting – there are great restaurants and shops downtown – and the harbor views are beautiful. This is the first time I stayed overnight, though. Given the freezing temperatures that weekend, we spent most of our time indoors eating and drinking, which was fine by us. 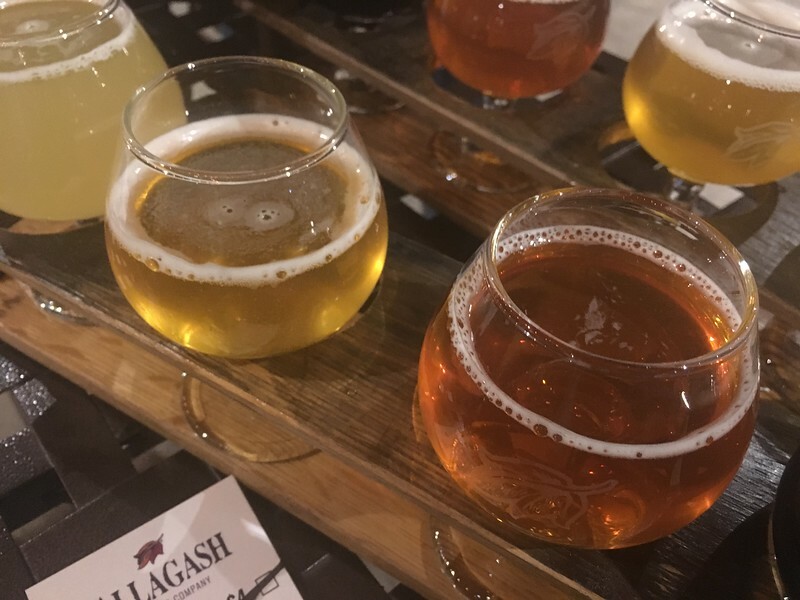 We hit two breweries – Shipyard and Allagash – followed by a seafood dinner at Scales. The next morning we waited in line to enjoy an incredible brunch at Central Provisions before heading back to Boston. I’ve been wanting to visit Iceland ever since Iceland Air began stepping up its advertising efforts about five years ago – there have been ads on the Boston “T” (subway) ever since. And like most travelers, seeing the Northern Lights has been a bucket list item. I was really concerned, however, with making sure my trip was sustainable as possible. Iceland only has about 330,000 residents, but last year, the country welcomed 2.2 million visitors – and that number is expected to rise again this year. Unfortunately the infrastructure is not in place to handle such a large volume of tourists, and it’s threatening both the environment and locals’ way of life. So in attempt to reduce my impact, I decided to just do a free 48-hour stopover with Iceland Air on my way to Copenhagen this month. Instead of renting a car, I booked all group tours (which ended up cancelled because of the weather, unfortunately), and I was hosted by Hostelling International Iceland, which has an impressive commitment to sustainability, at its Reykjavik Downtown Hostel location. 48 hours is not nearly enough time to explore a city, even as one as small as Reykjavik, but I got a good feel for it. 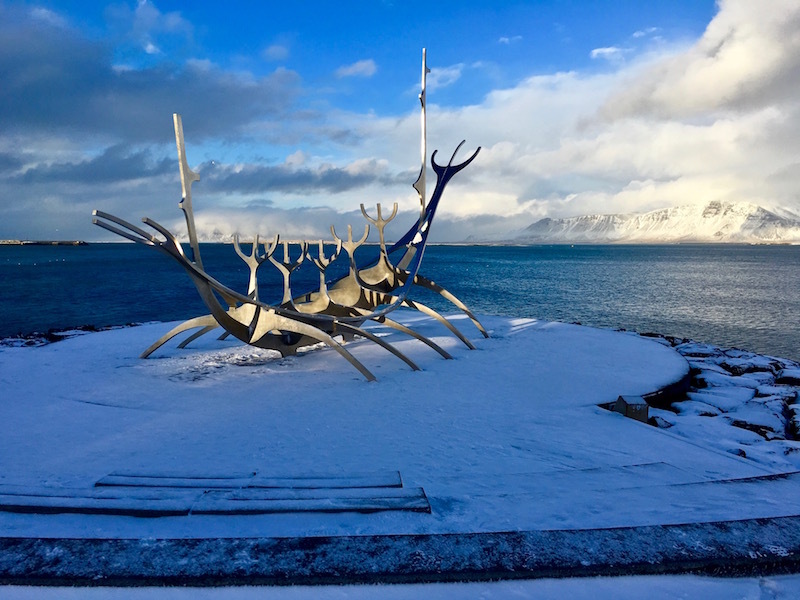 I took a walking tour with I Heart Reykjavik, drank some good coffee, found a lot of street art, and checked out a few bars that serve craft beer. I would like to go back and try to see the Northern Lights again as well as the rest of the country, but I think I’ll wait until the crowds die down. Copenhagen has been on my list for a while because I’ve been wanting to see more of Scandinavia. I didn’t know much about the city before my trip, except that the Danes are a happy bunch and enjoy a high standard of living. I’ve also known them to be pretty big partiers, so I was sure I’d have a good time there. Coincidentally my friend Julianne of It’s 5 O’Clock Here has been wanting to check out Copenhagen as well, so we met there for a long weekend after I stopped in Reykjavik. We had purchased the 72-hour Copenhagen Card, which was very convenient. The biggest perk is that it includes public transportation, so you don’t have to worry about buying tickets. (You just have to pay attention to which way you’re headed on the train – on our way to the airport for departure, we went in the wrong direction). We mostly explored attractions outside of the city, including Visit Carlsberg (the former brewery), two castles – Frederiksborg and Kronborg – and the town of Roskilde, which is home to the Viking Museum. In town, we took a boat ride through the canals and wandered through the pretty Tivoli at night. And since Julianne’s blog focuses on cocktails, we drank quite a few of those. Is it obvious we live in Boston and not Aruba? I always love checking out the The Boston Globe Travel Show. It’s much smaller than The New York Times Travel Show, so it’s easier to talk to the destinations and tour companies, and see the performances. And, like last year, this year’s show occurred during a very cold weekend, which heightened my wanderlust even more. 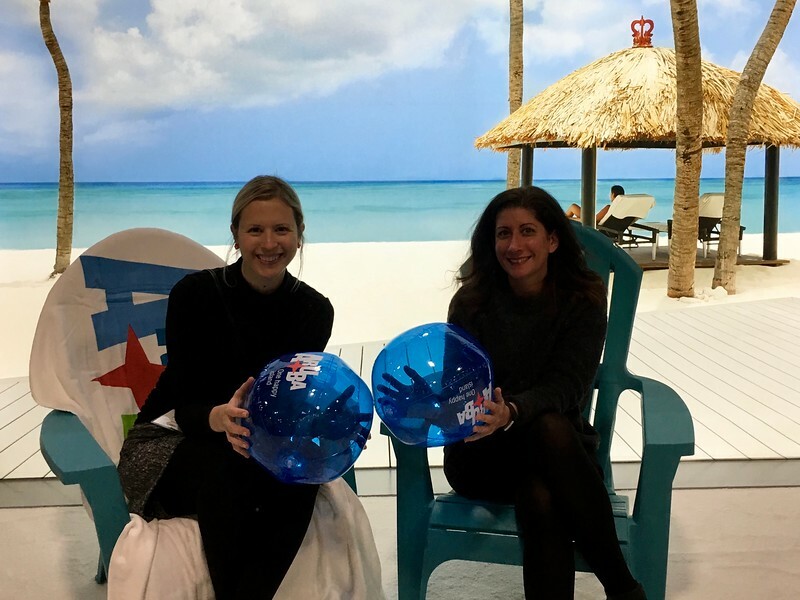 Since I was provided with two tickets to both the show and the Northeast Craft Beer Pavilion, my friend Kristin, a travel writer, joined me – we both showed up wearing nearly identical all-black outfits, which made for the amusing photo at the Aruba Tourism Authority booth (above). For more about a year now, I’ve been taking back-to-back-back trips, and it’s time for me to stay home and relax a little. So there are no major trips on the horizon. However, I will be doing a “staycation” at enVision Hotel Boston-Everett this month, which I’m very excited about. And spring is right around the corner!